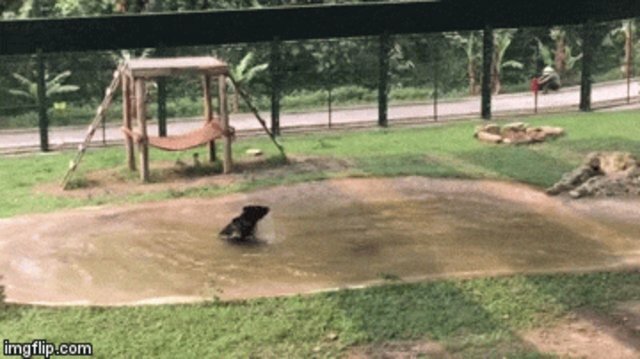 For most of this bear's tortured existence, the world extended no farther than a tiny cage. Like thousands of bears crammed into similar cages in Southeast Asia, his sole purpose in life was to produce bile - digestive fluid produced by the liver and stored in the gallbladder that's valued for its supposed medicinal properties. It didn't seem to matter that there are plenty of well-known herbal and synthetic alternatives to bear bile. So, a sentient being was confined for life, valued only for what rumbled deep inside his belly. Tuffy was rescued along with six other bears last September by Animals Asia from a farm in Vietnam. Since then, he had been recovering from having his damaged gallbladder, as well as three rotten teeth, removed. This week, the bear was finally healthy enough to venture outside. Like a toddler who just will not leave the kiddie pool, Tuffy is all paws in - clapping, pouncing, rolling, standing up tall and dropping on his back. "Coming from years of little or no water, for Tuffy this must feel like a true oasis after being parched and in pain for so long," the group wrote on its website. 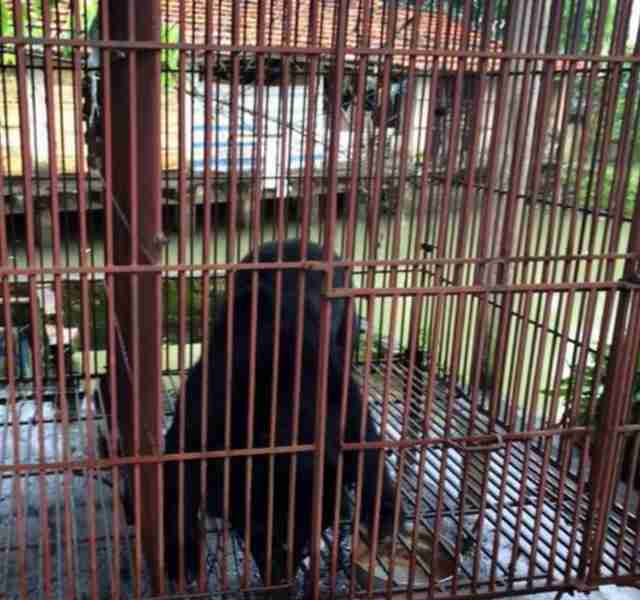 "It must have felt like such a relief to have the freedom to splash around in the water after only being able to stand on the hard metal bars of the bile farm cage." Yes, Tuffy. 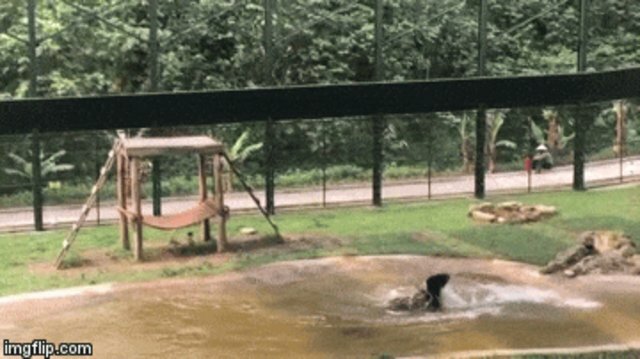 We know why the caged bear splashes. And we hope you never stop. Support Animals Asia in its mission to liberate bears from bile farms across the region by making a donation here.